There are three velocity meter types that measure natural gas, they are turbine meters, ultrasonic meters, and vortex meters. This article discusses turbine flow meters, and subsequent blogs will discuss the advantages and disadvantages of the other velocity meters. In the market for a turbine meter? This post is part of a continuing series exploring various types of gas flow meters, including mass flow meters, positive displacement meters, velocity meters, and inferential meters. You also may be interested in 4 Things to Consider before Selecting a Gas Flow Meter Technology. Velocity meters are those meters that measure the velocity of a gas flowing through the meter. These meters determine volumetric gas flow using a formula of gas flow velocity X cross-sectional area of the flow meter. Honeywell Elster TRZ2 turbine meters are accurate and reliable for measuring gas in gas distribution and transmission, industrial plants and business operations.The turbine meter is a traditional gas flow technology and remains a practical and favorite choice for natural gas flow measurement. It is approved for custody transfer of natural gas and used for billing in commercial buildings and industrial plants, competing with positive displacement (PD) meters in this application. The turbine flow meter excels when measuring medium-to-high-speed flow and steady fluids, while PD meters serve better low-velocity applications in 1.5– 10-inch lines. The turbine meter cannot be used to measure steam flow. The turbine flow meter is a popular choice for natural gas flow. It is significantly less expensive than ultrasonic flow meters and less costly than Coriolis as line sizes increase. There also can be substantial savings over DP meters when applications require several DP meters versus one turbine flow meter. Often users do not want to invest in new technology, and find it easier to remain with a familiar, proven product, the turbine meter. When appropriately calibrated, turbine meters can compete with the accuracy of multi-path ultrasonic flowmeters. One drawback of the turbine meter is that they cause pressure drop, an unavoidable consequence, given that the meter's design places a rotor in the gas flow stream. Some manufacturers, such as Honeywell Elster-Instromet, tackled the pressure loss issue with their bi-directional turbine flow meter (SM-RI-2). Another disadvantage is that they have moving parts, and while some manufacturers have improved bearings, making the meter more reliable, moving parts is still a disadvantage for turbine flow meters. Traditional turbine meters also require manual lubrication and are traditionally uni-directional, although, as mentioned, bi-directional meters have been introduced as well as self-lubrication models. Lastly, turbines have restrictions in low flow and may not turn if the gas current drops below 15% of the rated flow of the meter. If you are in the market for a turbine meter, submit your inquiry here. Need assistance with a gas flow meter? Stay tuned for our review of ultrasonic flow meters. 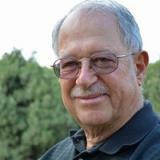 Tom is a former engineer for Xcel Energy, where he designed gas meter and regulator applications. He has also worked for mechanical contractors and engineering firms approving gas meters and regulators in various applications. He currently manages the Linc Energy Meter and Regular Department and is working on flare gas measurement.